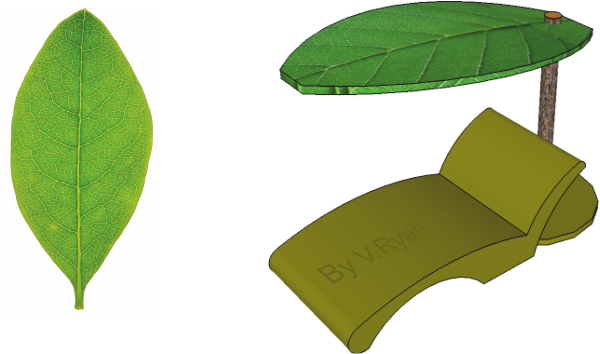 The sun bed is inspired by the shape of a leaf. The leaf is the ideal shape for creating shade and for protecting the user from a passing shower. A number of these sun beds put together, would form a canopy, rather like a forest canopy. 1. Describe how the design could be improved. You can include additional units. 3. In the space below sketch the improvements / additions you have described in the previous question.